Here at the NextGen Genealogy Network, we want to make 2018 our biggest and best year yet! In order to do that, we need your help. Our amazing community raised almost $500 for NextGen on Giving Tuesday and now we would like to know what you want to see from NextGen next year – be it educational opportunities, networking events, webinars etc. 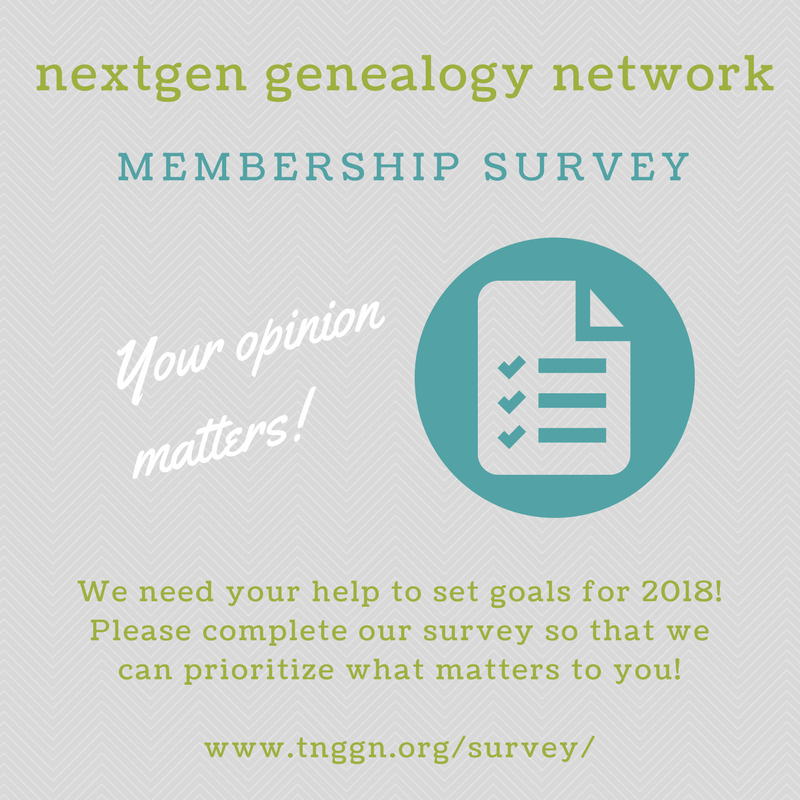 Your answers will help us set our goals for 2018 and raise NextGen to the next level!